born Feb. 21, 1801, London, Eng. influential churchman and man of letters of the 19th century, who led the Oxford Movement in the Church of England and later became a cardinal-deacon in the Roman Catholic church. His eloquent books, notably Parochial and Plain Sermons (1834–42), Lectures on the Prophetical Office of the Church (1837), and University Sermons (1843), revived emphasis on the dogmatic authority of the church and urged reforms of the Church of England after the pattern of the original “catholic,” or universal, church of the first five centuries ad. By 1845 he came to view the Roman Catholic church as the true modern development from the original body. Newman was born in London in 1801. After pursuing his education in an evangelical home and at Trinity College, Oxford, he was made a fellow of Oriel College, Oxford, in 1822, vice principal of Alban Hall in 1825, and vicar of St. Mary’s, Oxford, in 1828. Under the influence of the clergyman John Keble and Richard Hurrell Froude, Newman became a convinced high churchman (one of those who emphasized the Anglican church’s continuation of the ancient Christian tradition, particularly as regards the episcopate, priesthood, and sacraments). Association with the Oxford Movement. When the Oxford Movement began Newman was its effective organizer and intellectual leader, supplying the most acute thought produced by it. A High Church movement within the Church of England, the Oxford Movement was started at Oxford in 1833 with the object of stressing the Catholic elements in the English religious tradition and of reforming the Church of England. Newman’s editing of the Tracts for the Times and his contributing of 24 tracts among them were less significant for the influence of the movement than his books, especially the Lectures on the Prophetical Office of the Church (1837), the classic statement of the Tractarian doctrine of authority; the University Sermons (1843), similarly classical for the theory of religious belief; and above all his Parochial and Plain Sermons (1834–42), which in their published form took the principles of the movement, in their best expression, into the country at large. In 1838 and 1839 Newman was beginning to exercise far-reaching influence in the Church of England. His stress upon the dogmatic authority of the church was felt to be a much-needed reemphasis in a new liberal age. He seemed decisively to know what he stood for and where he was going, and in the quality of his personal devotion his followers found a man who practiced what he preached. Moreover, he had been endowed with the gift of writing sensitive and sometimes magical prose. Newman was contending that the Church of England represented true catholicity and that the test of this catholicity (as against Rome upon the one side and what he termed “the popular Protestants” upon the other) lay in the teaching of the ancient and undivided church of the Fathers. From 1834 onward this middle way was beginning to be attacked on the ground that it undervalued the Reformation; and when in 1838–39 Newman and Keble published Froude’s Remains, in which the Reformation was violently denounced, moderate men began to suspect their leader. 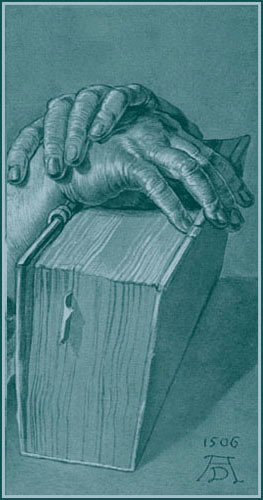 Their worst fears were confirmed in 1841 by Newman’s Tract 90, which, in reconciling the Thirty-nine Articles with the teaching of the ancient and undivided church, appeared to some to assert that the articles were not incompatible with the doctrines of the Council of Trent; and Newman’s extreme disciple, W.G. Ward, claimed that this was indeed the consequence. Bishop Richard Bagot of Oxford requested that the tracts be suspended; and in the distress of the consequent denunciations Newman increasingly withdrew into isolation, his confidence in himself shattered and his belief in the catholicity of the English church weakening. He moved out of Oxford to his chapelry of Littlemore, where he gathered a few of his intimate disciples and established a quasi-monastery. Newman resigned St. Mary’s, Oxford, on Sept. 18, 1843, and preached his last Anglican sermon (“The Parting of Friends”) in Littlemore Church a week later. He delayed long, because his intellectual integrity found an obstacle in the historical contrast between the early church and the modern Roman Catholic church. Meditating upon the idea of development, a word then much discussed in connection with biological evolution, he applied the law of historical development to Christian society and tried to show (to himself as much as to others) that the early and undivided church had developed rightly into the modern Roman Catholic church and that the Protestant churches represented a break in this development, both in doctrine and in devotion. These meditations removed the obstacle, and on Oct. 9, 1845, he was received at Littlemore into the Roman Catholic church, publishing a few weeks later his Essay on the Development of Christian Doctrine. Newman went to Rome to be ordained to the priesthood and after some uncertainties founded the Oratory at Birmingham in 1848. He was suspect among the more rigorous Roman Catholic clergy because of the quasi-liberal spirit that he seemed to have brought with him; and therefore, though in fact he was no liberal in any normal sense of the word, his early career as a Roman Catholic priest was marked by a series of frustrations. In 1852–53 he was convicted of libeling the apostate former Dominican priest Achilli. He was summoned to Ireland to be the first rector of the new Catholic university in Dublin, but the task was, under the circumstances, impossible, and the only useful result was his lectures on the Idea of a University (1852). His role as editor of the Roman Catholic monthly, the Rambler, and in the efforts of Lord Acton to encourage critical scholarship among Catholics, rendered him further suspect and caused a breach with H.E. Manning, who was soon to be the new archbishop of Westminster. 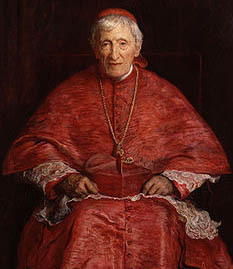 One of Newman’s articles (“On Consulting the Faithful in Matters of Doctrine”) was reported to Rome on suspicion of heresy. He attempted to found a Catholic hostel at Oxford but was thwarted by the opposition of Manning. From the sense of frustration engendered by these experiences Newman was delivered in 1864 by an unwarranted attack from Charles Kingsley upon his moral teaching. Kingsley in effect challenged him to justify the honesty of his life as an Anglican. And though he treated Kingsley more severely than some thought justified, the resulting history of his religious opinions, Apologia pro Vita Sua (1864; “A Defense of His Life”), was read and approved far beyond the limits of the Roman Catholic church, and by its fairness, candour, interest, and the beauty of some passages, it recaptured the almost national status that he had once held. Though the Apologia was not liked by Manning and those who thought as he did because it seemed to show the quasi-liberal spirit that they feared, it assured Newman’s stature in the Roman Catholic church. In 1870 he expressed opposition to a definition of papal infallibility, though himself a believer in the doctrine. In the same year, he published his most important book of theology since 1845, An Essay in Aid of a Grammar of Assent (commonly known as The Grammar of Assent), which contained a further consideration of the nature of faith and an attempt to show how faith can possess certainty when it rises out of evidence that can never be more than probable. In 1879 Pope Leo XIII made him cardinal-deacon of St. George in Velabro. He died at Birmingham in 1890 and is buried (with his closest friend, Ambrose St. John) at Rednal, the rest house of the Oratory. Newman’s portraits show a face of sensitivity and aesthetic delicacy. He was a poet—most famous are his contributions in the Lyra Apostolica of his Anglican days, including the hymn “Lead, kindly light,” written in 1833 when he was becalmed in the strait between Sardinia and Corsica, and The Dream of Gerontius (1865), based upon the requiem offices and including such well-known hymns as “Praise to the holiest in the height” and “Firmly I believe and truly.” He was always conscious of the limitations of prose and aware of the necessity for parable and analogy, and logical theologians sometimes found him elusive or thought him muddled. But his was a mind of penetration and power, trained upon Aristotle, David Hume, Bishop Joseph Butler, and Richard Whately, and his superficial contempt for logic and dialectic blinded some readers into the error of thinking his mind illogical. His intellectual defect was rather that of oversubtlety; he enjoyed the niceties of argumentation, was inclined to be captivated by the twists of his own ingenuity, and had a habit of using the reductio ad absurdum in dangerous places. Newman’s mind at its best is probably to be found in parts of the Parochial and Plain Sermons or the University Sermons, at its worst in the Essay on Ecclesiastical Miracles of 1843. His sensitive nature, though it made him lovable to his few intimates, made him prickly and resentful of public criticism, and his distresses under the suspicions of his opponents, whether Anglicans defending the Reformation or ultramontanes (exponents of centralized papal power) attacking his Roman theology, weakened his confidence and prevented him from becoming the leader that he was otherwise so well equipped to be. Nevertheless, as the effective creator of the Oxford Movement, he helped to transform the Church of England; and as the upholder of a theory of doctrinal development he helped Catholic theology to become more reconciled to the findings of the new critical scholarship, while in England the Apologia was important in helping to break down the cruder prejudices of the English against Catholic priests. In both the Catholic church and the Church of England his influence has been momentous.